Store your Switch console and up to 14 game cards in the Nintendo Switch Super Mario Brothers Premium Travel Case! 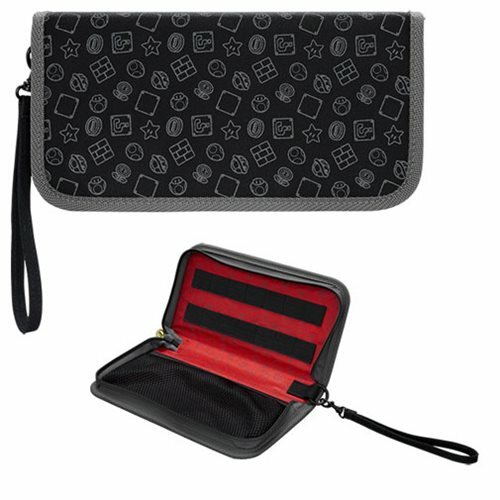 Featuring a detailed Mario-themed design, this nifty console case keeps your Switch protected when not in use. It's made from soft canvas and includes a cleaning cloth.